Our Experts provide big data online training in Bangalore. 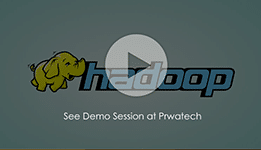 We offer big data courses to learn big data hadoop architecture. In the world of technology, any of the organization deals its operation mainly in data. With proper amount of data, the company grows and prospers. But with the increasing amount of data now, it becomes difficult for the team to handle and manage it. As the amount increases, the company has to install more machinery and has to hire more individuals. But with the introduction of systems such as Big Data Hadoop, this problem can be curbed. Hadoop offers to manage and analyze the unstructured data with ease so that you do not have to get into worse situation with so much of Big Data. 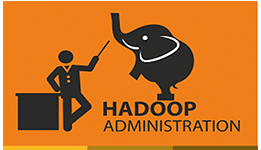 Hadoop Online Training : In this age, the data is used as a treasure, and right application of data can help one in many ways. However, there are big sets of data which scattered and that need to be formed in a manner that can prove helpful to the user. This can be possible by a structured framework only. The Hadoop provides such a framework, and that is the reason why the demand of Hadoop training is increasing these days. 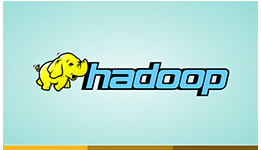 One can have Hadoop training through online training courses. There are ample videos which one can view at his convenient time and learn the skills of data management and analysis. There are various tools and techniques which are part of this program. The process of online training is simple. One needs to get registered with the concerned online institute and make the payment. The learner is provided with a password and user ID on mail with the help of which he can view the videos. During various sessions, one can learn the use of different tools of this framework. The tool such as Hbase, HDFS, Sqoop, HIVE, ZooKeeper, Pig, Mahout, Avro, Lucene, NOSQL are used for scalability, distribution of data, data analysis, customized mapping, and provide the data to the user application with a high bandwidth. There are many corporate who have to deal with huge sets of Data in daily operation which can be done by an expert only. With the completion of this training the chances of quality employment increases. This module discusses the impact of Big Data Hadoop Course in the social life of people and its significant role. It also discusses how Hadoop is useful in processing and managing Big Data. Topics: What is Big Data, Role Played by Big Data, Map reduce, Hadoop Components, Name Node, Hadoop Architecture, Job Tracker, HDFS. The module helps in getting a clear understanding of the roles of Multiple Hadoop Server like DataNode and NameNode along with MapReduce data processing. The topics covered include Hadoop Initial Configuration and Installation, Installing Hadoop Customers, Anatomy of Read and Write, Data Processing and Replication Pipeline. 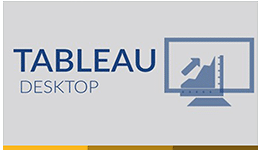 This module in the Big Data Hadoop Course helps in understanding standard Cluster Administration activities like Removing and Adding Data Nodes, Configuring Backup, NameNode Recovery and Hadoop Upgrade. Topics: Black list and white list data nodes in cluster, setting Hadoop Backup, Recovery and Diagnostic. This module discusses the Map Reduce structure and the procedure of implementing Map Reduce on data stored in HDFS. The topics covered include Map Reduce ideas, reducer, mapper, driver, record reader and input split. This module covers a clear understanding of importing and exporting data from RDBMS to HDFS, everything about Sqoop. The importance of using Sqoop, the provision of Hive Metastore, Sqoop features, Sqoop connectors, Sqoop performance benchmarks, everything about Flume and the import of data with the use of Flume. 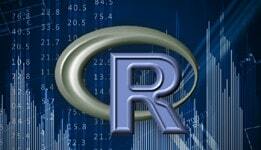 This module discusses data warehouse package that analyses structure data. It is also discusses about loading data and installing Hive along with the storage of data in various tables. Topics covered are Hive Services, Hive Web Interface, Hive Shell, Differences between DISTRIBUTE By, SORT By and ORDER By, Types of Primitive Data, Different Methods of Operating Hive, Analysis of Log on Hive and Exercises. This module helps in getting a clear understanding of the Advance Hive ideas like UDF. 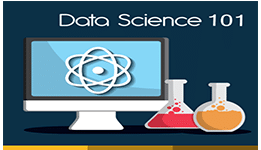 The learners also get in-depth knowledge of HBase, the process of loading data in HBase and the use of query data from HBase. 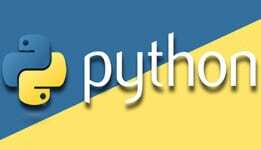 The topics covered are User Defined Functionalities, Data Manipulation Using Hive, Hive Scripting, MapReduce Integration, HBase Architecture, HBase Introduction. The module covers different concepts of Advance HBase. Learners also get to know about ZooKeeper and how ZooKeeper helps in cluster monitoring. 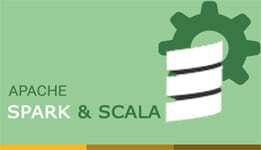 Topics: Advanced Usage of HBase, Advance Indexing, Schema Design, Data Model of ZooKeeper, Operations of ZooKeeper, ZooKeeper Implementation, Sessions, States and Consistency.